A supplied image shows a landslide and damage to a road located near the township of Tabubil after an earthquake that struck Papua New Guinea's Southern Highlands, February 26, 2018. Jerome Kay/Handout via Reuters. Miners in northwest Papua New Guinea reported some damage to infrastructure following a powerful magnitude 7.5 earthquake on the weekend, as projects in the resource-rich region assess the impact on their operations. Barrick Gold Corp said a power station that supplies its Porgera gold mine had been damaged, while Ok Tedi Mining Ltd said a landslip had blocked a road and damaged pipelines to its copper and gold mine in the Star Mountains. The PNG government said it had sent disaster assessment teams to the rugged Southern Highlands about 560 km (350 miles) northwest of the capital, Port Moresby, following the quake early on Sunday and a series of aftershocks. “It’s premature to comment on what the impact to Porgera may be as those assessments remain underway. ‎The mine does have limited back up power generation available on site,” Barrick Gold spokesman Andy Lloyd said in emailed comments. Electricity from the power station is mainly used by the processing plant at Porgera. The mining fleet uses diesel. Porgera is co-owned by China’s Zijin Mining Group. 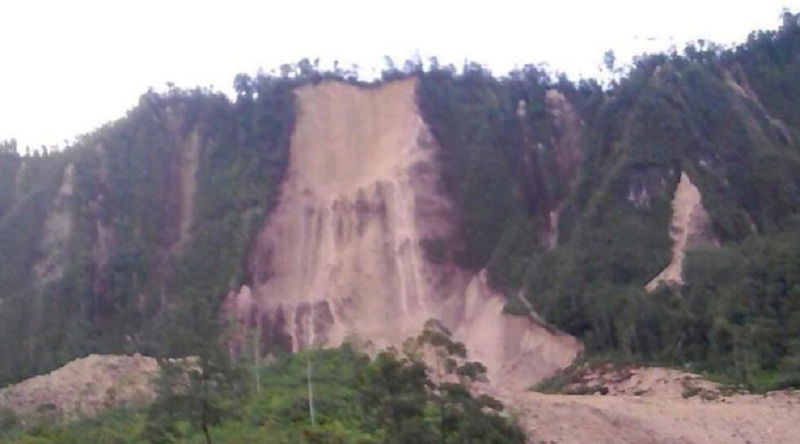 State-owned Ok Tedi said that a landslip blocking roads would likely take several days to clear, but did not comment on any direct impact to operations. “Maintenance work on the damaged pipes will begin as soon as road access is restored and spare pipes are transported to the location,” it said in a statement. Early estimates are that it will take at least several days to clear the road to allow for normal traffic flow, with work due to start on Tuesday morning, it said. Earthquakes are common in Papua New Guinea, which sits on the Pacific’s “Ring of Fire”, a hotspot for seismic activity due to friction between tectonic plates. Part of PNG’s northern coast was devastated in 1998 by a tsunami, generated by a 7.0 quake, which killed about 2,200 people. ExxonMobil said on Monday it had shut its Hides gas conditioning plant and that it believed administration buildings, living quarters and a mess hall had been damaged. Gas is processed at Hides and transported along a 700 km (435 miles) line that feeds a liquefied natural gas plant near Port Moresby for shipping. PNG oil and gas explorer Oil Search said in a statement on Monday it had also shut production in the quake-affected area.